The delightful Norah Jones is not just a prolifically successful artist with the ability to step inside the skin of blue-eyed soul, jazz, pop and any other strain of contemporary music, she is also a force of nature. Still only 35, this native New Yorker has already garnered nine Grammy awards and ranked high in the Billboard list of top artists for the first decade in the new millennium. To say she hit the ground running would be an understatement. Her debut album Come Away With Me was amongst the most anticipated first discs ever and would go on to sell over 26 million copies – a staggering achievement for someone of any age, let alone an artist in their very early twenties. That five times Grammy winner was no flash in the pain either since she followed that Diamond status disc with a run of albums that have sold Platinum and wowed critics, fans and peers alike. A singer-songwriter with immaculate credential, Ms. Jones is also an accomplished actress who has appeared as herself in dozens of music-related films and also taken roles in My Blueberry Nights (and she appears on the soundtrack) and the American independent movie Wah Do Dem. As a collaborator Norah has participated in the Hank Williams project initiated by Bob Dylan and contributed to OutKast’s Speakerboxxx/The Love Below. She has the distinction of playing on Ray Charles final album, Genius Loves Company, and has figured on discs by Foo Fighters, Ryan Adams and The Cardinals, Willie Nelson, Wyclef Jean and Herbie Hancock. She makes a cameo appearance in Seth ‘Family Guy’ MacFarlane’s scurrilous movie Ted (as well as joining him on various swing projects). She sings with Tony Bennett on Duets 11. One of the most in-demand artists on the planet, Norah is also a regular live performer and has toured extensively, picking up new fans wherever she embarks. She is in short a 21st Century marvel. 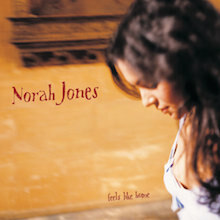 Norah Jones comes from formidable musical stock. Her father is the acclaimed sitar player Ravi Shankar, her mother the acclaimed American concert producer Sue Jones. Born in Brooklyn in 1979 and then raised in Texas she showed enormous talent as a pianist and was soon immersed in the works of Bill Evans and Billie Holiday. 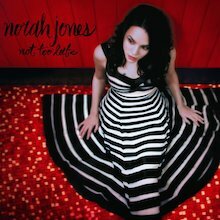 Ever more accomplished now as a songwriter Norah’s own “Sunrise” and “What Am I to You?” are classically cast. Guests are of the 24-carat variety. Dolly Parton appears on “Creepin’ In” and members of The Band – Levon Helm and Garth Hudson - add a rootsy vibrancy. Yet again, Jones topped so many charts worldwide you may as well stick a pin in a global map to find out where she’s popular. Everywhere it seems. Since giving birth to her first son in 2014, Jones has worked with Beck and appears on Seth MacFarlane’s Holiday for Swing in time for Christmas 2014, singing “Little Jack Frost Get Lost”. Meanwhile her own new music is in the pipeline and for that we cannot wait. Discovering Norah Jones is a constant pleasure. Norah Jones' debut on Blue Note is a mellow, acoustic pop affair with soul and country overtones, immaculately produced by the great Arif Mardin. (It's pretty much an open secret that the 22-year-old vocalist and pianist is the daughter of Ravi Shankar.) Jones is not quite a jazz singer, but she is joined by some highly regarded jazz talent: guitarists Adam Levy, Adam Rogers, Tony Scherr, Bill Frisell, and Kevin Breit; drummers Brian Blade, Dan Rieser, and Kenny Wollesen; organist Sam Yahel; accordionist Rob Burger; and violinist Jenny Scheinman. Her regular guitarist and bassist, Jesse Harris and Lee Alexander, respectively, play on every track and also serve as the chief songwriters. Both have a gift for melody, simple yet elegant progressions, and evocative lyrics. (Harris made an intriguing guest appearance on Seamus Blake's Stranger Things Have Happened.) Jones, for her part, wrote the title track and the pretty but slightly restless "Nightingale." She also includes convincing readings of Hank Williams' "Cold Cold Heart," J.D. Loudermilk's "Turn Me On," and Hoagy Carmichael's "The Nearness of You." There's a touch of Rickie Lee Jones in Jones' voice, a touch of Bonnie Raitt in the arrangements; her youth and her piano skills could lead one to call her an Alicia Keys for grown-ups. While the mood of this record stagnates after a few songs, it does give a strong indication of Jones' alluring talents. 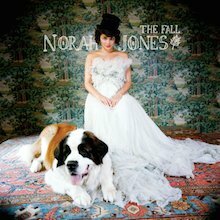 With The Fall, Norah Jones completes the transition away from her smooth cabaret beginnings and toward a mellowly arty, modern singer/songwriter. Jones began this shift on 2007's Not Too Late, an album that gently rejected her tendencies for lulling, tasteful crooning, but The Fall is a stronger, more cohesive work, maintaining an elegantly dreamy state that's faithful to the crooner of Come Away with Me while feeling decidedly less classicist. Some of this could be attributed to Jones' choice of producer, Jacquire King, best-known for his work with Modest Mouse and Kings of Leon, but King hardly pushes Norah in a rock direction; The Fall does bear some mild echoes of Fiona Apple or Aimee Mann in ballad mode, but its arrangements never call attention to themselves, the way that some Jon Brion productions do. Instead, the focus is always on Jones' voice and songs, which are once again all originals, sometimes composed in conjunction with collaborators including her longtime colleagues Jesse Harris, Ryan Adams, and Will Sheff of Okkervil River. In addition to King's pedigree, the latter two co-writers suggest a slight indie bent to Jones' direction, which isn't an inaccurate impression -- there's certainly a late-night N.Y.C. vibe to these songs -- but it's easy to overstate the artiness of The Fall, especially when compared to Not Too Late, which wore its ragged ambitions proudly. Here, Jones ties up loose ends, unafraid to sound smooth or sultry, letting in just enough dissonance and discord to give this dimension, creating a subtle but rather extraordinary low-key record that functions as a piece of mood music but lingers longer, thanks to its finely crafted songs. 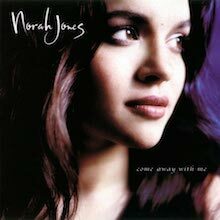 It may be far too obvious to even mention that Norah Jones' follow-up to her 18-million-unit-selling, eight-Grammy-winning, genre-bending, super-smash album Come Away With Me has perhaps a bit too much to live up to. But that's probably the biggest conundrum for Jones: having to follow up the phenomenal success of an album that was never designed to be so hugely popular in the first place. Come Away With Me was a little album by an unknown pianist/vocalist who attempted to mix jazz, country, and folk in an acoustic setting -- who knew? Feels Like Home could be seen as "Come Away With Me Again" if not for that fact that it's actually better. Smartly following the template forged by Jones and producer Arif Mardin, there is the intimate single "Sunrise," some reworked cover tunes, some interesting originals, and one ostensible jazz standard. These are all good things, for also like its predecessor, Feels Like Home is a soft and amiable album that frames Jones' soft-focus Aretha Franklin voice with a group of songs that are as classy as they are quiet. Granted, not unlike the dippy albeit catchy hit "Don't Know Why," they often portend deep thoughts but come off in the end more like heartfelt daydreams. Of course, Jones could sing the phone book and make it sound deep, and that's what's going to keep listeners coming back. What's surprising here are the bluesy, more jaunty songs that really dig into the country stylings only hinted at on Come Away With Me. To these ends, the infectious shuffle of "What Am I to You?" finds Jones truly coming into her own as a blues singer as well as a writer. Her voice has developed a spine-tingling breathy scratch that pulls on your ear as she rises to the chorus. Similarly, "Toes" and "Carnival Town" -- co-written by bassist Lee Alexander and Jones -- are pure '70s singer/songwriting that call to mind a mix of Rickie Lee Jones and k.d. lang. Throw in covers of Tom Waits and Townes Van Zandt along with Duke Ellington's "Melancholia," retitled here "Don't Miss You at All" and featuring lyrics by Jones, and you've got an album so blessed with superb songwriting that Jones' vocals almost push the line into too much of a good thing. Thankfully, there is also a rawness and organic soulfulness in the production that's refreshing. No digital pitch correction was employed in the studio and you can sometimes catch Jones hitting an endearingly sour note. She also seems to be making good on her stated desire to remain a part of a band. Most all of her sidemen, who've worked with the likes of Tom Waits and Cassandra Wilson, get writing credits. It's a "beauty and the beast" style partnership that harks back to the best Brill Building-style intentions and makes for a quietly experimental and well-balanced album. The story goes that, in 2000, while pianist/vocalist Norah Jones was playing regularly at the Living Room in New York's Lower East Side and well before she earned eight Grammys, she received an invitation to sing some blues with guitarist Peter Malick and his band. Reluctantly, Jones admitted to a paucity of blues-singing experience. Thankfully, Malick was persistent. Listening to the rootsy, organic beauty evidenced on New York City, you'd never know Jones hadn't ever sung the blues. Inspired by the classic work of artists such as Ray Charles and Billie Holiday, New York City is a kind of singer/songwriter blues album featuring Jones' particularly haunting vocal style. It's more mainstream than Come Away With Me, but fans of that album should cotton easily to Jones' work here. 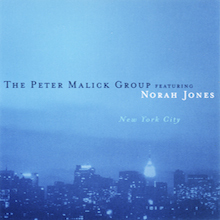 Conceptualized around the post-9/11 title track, most of Malick's songs are contemporary blues reminiscent of the work of Bonnie Raitt and Eric Clapton. Notably, "Strange Transmissions," a melancholy and atmospheric profession of a love that just can't be denied, showcases Jones as mellow blues diva, while "Heart of Mine" finds the pianist's breathy style perfectly suited to the Bob Dylan nugget. As for leader Malick, he takes the vocal duties on "Things You Don't Have to Do" and graces most of the tracks with his thoughtful and tempered guitar sound. Exorcizing the ghost of a failed relationship via the time-honored tradition of the breakup album, Norah Jones luxuriates in beautiful misery on Little Broken Hearts. Liberated by the separation but not quite ready to let it go, Jones achieves a curious subdued tension here, dressing unadorned confessionals in softly stylized studio noir created with the assistance of producer Danger Mouse, who collaborated with her the year before on the collective Rome. Seeming opposites -- the classicist meets the futurist -- Jones and Danger Mouse are well matched, as both artists are not as set in their ways as their individual reputations would suggest. Jones began to drift away from the jazzy sophistication of Come Away with Me when she released the quietly adventurous Not Too Late way back in 2007, the year after Danger Mouse broke into the mainstream via Gnarls Barkley. In the ensuing half decade, the singer/songwriter continued to dabble in different sounds and styles while the producer streamlined his electronic eccentricities, leaving them to meet at the crossroads of Little Broken Hearts, where he wrings out the pathos in her songs. The songs themselves hold little mystery -- all motivations are laid bare, there are no twists in the melodies or detours hidden within the structure -- so all the mystique derives from a production that amplifies the themes. Occasionally, Danger Mouse piles on his signature murk a little too thickly, weighing down such spare sad songs as "She's 22" and "Miriam," yet his aural tapestries often lend the tunes a lilting melancholy they require and add dimension to the album's poppier moments ("Happy Pills," "Say Goodbye"). Conversely, by placing so much emphasis on the stylish ever-shifting surfaces of its production, Little Broken Hearts never quite sinks in emotionally. Norah Jones may be pouring her heart out but it's been given an elegantly detailed sculpture that camouflages her pain. Listen closely and its evident, but it takes effort to ignore the alluring haze and hear the songs that lie beneath. Recoils from fame usually aren't as subdued as Norah Jones' third album, Not Too Late, but such understatement is customary for this gentlest of singer/songwriters. Not Too Late may not be as barbed or alienating as either In Utero or Kid A -- it's not an ornery intensification of her sound nor a chilly exploration of its furthest limits -- but make no mistake, it is indeed a conscious abdication of her position as a comfortable coffeehouse crooner and a move toward art for art's sake. And, frankly, who can blame Jones for wanting to shake off the Starbucks stigmata? Although a large part of her appeal has always been that she sounds familiar, like a forgotten favorite from the early '70s, Jones is too young and too much of a New York bohemian to settle into a role as a nostalgia peddler, so it made sense that she started to stretch a little after her 2004 sophomore set, Feels Like Home, proved that her surprise blockbuster 2002 debut, Come Away with Me, was no fluke. First, there was the cabaret country of her Little Willies side band, then there was her appearance on gonzo art rocker Mike Patton's Peeping Tom project, and finally there's this hushed record, her first containing nothing but original compositions. It's also her first album recorded without legendary producer Arif Mardin, who helmed her first two albums, giving them a warm, burnished feel that was nearly as pivotal to Jones' success has her sweet, languid voice. Mardin died in the summer of 2006, and in his absence, Jones recorded Not Too Late at the home studio she shares with her collaborator, bassist and boyfriend Lee Alexander. Although it shares many of the same sonic characteristics as Jones' first two albums, Not Too Late boasts many subtle differences that add up to a distinctly different aesthetic. 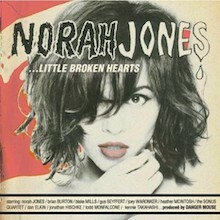 Jones and Alexander have stripped Norah's music to its core. Gone are any covers of pop standards, gone are the studio pros, gone is the enveloping lushness that made Come Away with Me so easy to embrace, something that Not Too Late is most decidedly not. While this might not have the rough edges of a four-track demo, Not Too Late is most certainly music that was made at home with little or no consideration of an audience much larger than Jones and Alexander. It's spare, sometimes skeletal, often sleepy and lackadaisical, wandering from tunes plucked out on acoustic guitars and pianos to those with richer full-band arrangements. Norah Jones has never exactly been lively -- part of her charm was her sultry slowness, ideal for both Sunday afternoons and late nights -- but the atmosphere here is stultifying even if it's not exactly unpleasant. After all, unpleasantness seems to run contrary to Jones' nature, and even if she dabbles in Tom Waits-ian carnivalesque stomps ("Sinkin' Soon") or tentatively stabs at politics ("My Dear Country"), it never feels out of place; often, the shift is so subtle that it's hard to notice. That subtlety is the biggest Achilles' heel on Not Too Late, as it manifests itself in songs that aren't particularly distinctive or performances that are particularly varied. There are exceptions to the rule and they all arrive with full-band arrangements, whether it's the lazy jazz shuffle of "Until the End," the country-tinged "Be My Somebody," or the wonderful laid-back soul of "Thinking About You." These are songs that not only sound full but they sound complete, songs that have a purposeful flow and are memorable for both their melody and sentiment. They would have been standouts on Feels Like Home, but here they are even more distinctive because the rest of the record plays like a sketchbook, capturing Jones and Alexander figuring out how to move forward after such great success. Instead of being the end result of those experiments, the completed painting after the sketch, Not Too Late captures their process, which is interesting if not quite compelling. But its very release is a clear statement of artistic purpose for Jones: its ragged, unfinished nature illustrates that she's more interested in pursuing her art than recycling Come Away with Me, and if this third album isn't as satisfying as that debut, it nevertheless is a welcome transitional effort that proves her artistic heart is in the right place. Before Norah Jones became a Grammy-dominating marquee big shot, she could be found laying smoky vocals over tracks with jazzbos Charlie Hunter, trip-hoppers Wax Poetic and bluesmen like Malick. 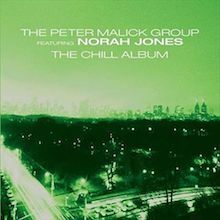 In late 2000, the then 21-year-old Jones hooked up with Malick in New York for recordings that became the 2003 EP "New York City." That album was afforded the remix treatment in 2004, and now comes this third version. With just eight tracks -- two remixes of four songs -- it feels not like home, as Jones might intone, but hitting the well one more time. That said, it's a perfectly accomplished and sweetly lulling dose of downtempo, particularly DJ Strobe's solid revisiting of "Things You Don't Have To Do" and the just-shy-of-haunting "New York City." And it's nice to hear Jones' husk before its found its dreamy groove; she bites into "Deceptively Yours" and meanders through "Things You Don't Have To Do" with a raw, not-yet-polished bravado sometimes missing from her headlining stuff.